For years, one of the most rewarding parts of opening your first checking account was the moment you were handed your debit card for the first time. With that little piece of plastic, you could pay for goods and take out cash from stores and ATMs just about anywhere. For new Wells Fargo customers, however, the plastic card will play far less of a role. In fact, first time account holders may enter a world where they hardly have to use their debit card at all. Wells Fargo members now have access to a new mobile wallet from the bank, which allows shoppers to make NFC payments in eligible stores without taking their cards out of their wallets. When they need cash, they will soon be able to extract it from NFC-enabled ATMs currently being upgraded across the country. About 40 percent of Wells Fargo ATMs will support mobile access by the end of this year, and the rest will receive their upgrades in 2017, PaymentsSource reported. "Recent upgrades move Wells Fargo toward a completely cardless customer experience." These upgrades contribute to Wells Fargo's pursuit of a completely cardless customer experience, something the bank sees as essential in today's increasingly digital environment. "There's a utility. It's one less thing to carry around with you," Andy Schmidt, an executive advisor at CEB, said in the PaymentsSource article. "By having cardless ATMs bundled into the mobile payments and mobile banking experience, it's much easier to bring different user experiences together." 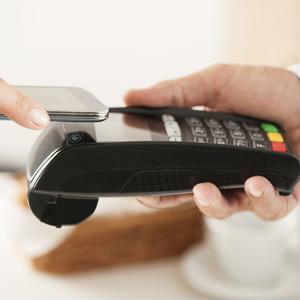 As more banks begin to adopt mobile-first strategies, consumers will begin to embrace NFC technology much more rapidly. As a retailer, it's crucial your business is equipped to take advantage of this new consumer demand. At Vantage, we're experts in helping merchants determine and implement the best payment technology for their business. Contact us today to learn more about our solutions, ask a question or schedule a consultation.